Paleontologists learn about how life existed on Earth thousands of years ago by excavating fossils buried deep in the ground and studying them. Fossils — the preserved remains of a once-living plant or animal — often form because of cataclysmic events or through the organism's natural life and death cycle. Studying these, along with other fossil types, presents evidence about the organisms and the conditions in which they lived. Fossils — the preserved remains of a once-living plant or animal — offer insight into how the plants, animals, and humans of earlier ages existed. From them, paleontologists can also glean valuable information on how species that exist today survived in eras long past. Fossils help researchers learn about plants and animals that existed long ago, having since faced extinction or evolution to modern species. Through unearthing and studying their remains, paleontologists learned what they know today about dinosaurs and saber-toothed tigers. Scientists can put together how the plant or animal looked based on its skeletal structure, discover what the animals ate, and where they lived and how they died. Fossils provide an important record of the species that otherwise may never have been discovered because they died long before people began keeping records. Species evolve over long periods of time, and the change can occur so slowly that it is difficult to know where one species ends and a new species begins. However, fossils help fill in the blanks. By studying fossils, researchers identified the first amphibious creatures that developed legs, a discovery that led to discerning the first species that evolved to live on land. 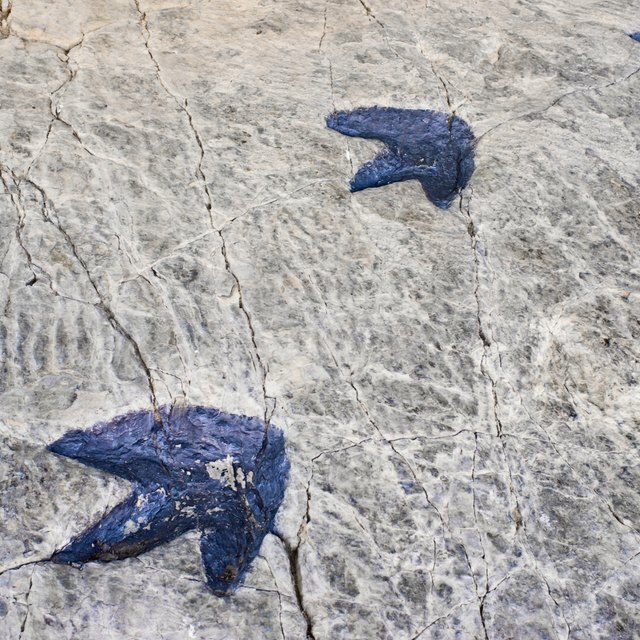 The study of fossils also can identify some factors that influenced evolutionary change. For example, drastic climate changes may kill some species out entirely, or allow only those that adapted to the new environment to survive. The study of fossils also provides information about climate change. For example, scientists theorized that a comet hit the Earth, an event that dramatically changing the conditions for life and killed off the dinosaurs. Another drastic shift in climate led to the Ice Age, which killed off many species and changed life on Earth. Scientists learn this information by determining the age of fossils that are discovered and studying other clues found in the same soil layers where they found the fossils. Fossils of human remains and of plants and animals provide insight into how people of the past lived. Plant and animal fossils from near the remains of old human settlements show what people ate, their tools and their culture. If signs of disease are found in plant or animal fossils, scientists can deduce that the people of that era may have suffered the same disease. Understanding what people ate also provides information about how they lived, such as whether they were hunters and had to travel to find food. A fossil layer can also include artifacts from ancient cultures, such as tools or pottery. Oxford University Museum of Natural History: The Learning Zone - What Can Fossils Tell Us? Indiana University: What Can We Learn from Fossils Besides Just "What The Organism Looked Like"
Magher, Maria. "What Can We Learn by Studying Fossils?" Sciencing, https://sciencing.com/can-learn-studying-fossils-21955.html. 24 April 2018.